There is definitely a language when it comes to the bar, and 9 times out of 10, you are getting judged HARD by the bar staff if you don’t know what you are talking about. So Liquid Culture is here to get you educated and well versed in this industry! Here I will list some of the terms used in bars, a brief definition of spirits and where they come from, and so much more. You will never have to feel awkward about ordering a drink again! This will be your dictionary for everything cocktail related. The following is listed in alphabetical order with an easy navigation system to get you to the letter of your choice! Just follow the links below! Absinthe – A neutral overproof spirit with a predominant anise flavour. For it to be considered an Absinthe spirit, it must contain wormwood. Wormwood contains thujone which was wildly associated with hallucinations, hence the preconceived notion that Absinthe was dangerous. It has since been heavily monitored and tested for thujone levels, and can be safely consumed. Pastis is often a common substitute for Absinthe due to its principal Anise flavour. ABV – By definition this translates to Alcohol By Volume. 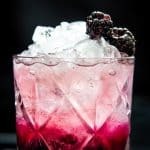 When something is referred to as being a low ABV cocktail, means it is low in alcohol percentage. Mixto – Bottles can be labelled as Tequila while actually being a Mixto. If the bottle doesn’t state 100% Agave than it is a Mixto, which can comprise of 49% of non-agave sugars. Mixto is the cheaper option when it comes to purchasing agave spirits. Extra Aged/Anejo – Aged Tequila for a minimum of 1 year in French or White Oak Casks. Regulations state that the casks can be no larger than 600 litres to produce. Ultra Aged/Extra Anejo – Aged Tequila for a minimum of 3 years in French or White Oak casks. Regulations state that the casks can be no larger than 600 litres to produce. Mezcal – Uses 1 or more of 5 specific breeds of Agave plants. Mezcal has a distinctive smoky flavour due to the distillation process which requires the harvest to smoke inside a pit with lava rocks, wood and charcoal. Aperitif – A beverage typically drunk before a meal. Some examples include Lillet, Dry Vermouths and Aperol. 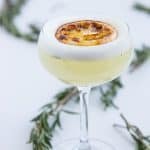 Aquavit – Distilled from a neutral grain or potato, with the predominate flavour profile of licorice, dill, fennel, cardamom and citrus peels. Arak – A high-proof spirit originating from the Middle Eastern region, with a strong anise flavour. 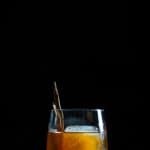 Vermouth – Fortified wine with added herbs, sugar and wormwood. Comes in a variety of styles including dry, sweet and rose. Bitters – Produced by infusing herbs, spices, florals, fruits, and so much more, in a bath of a high proof spirit. Death and Co said it best by stating that bitters are the ‘spice rack’ to a bar. Applejack – The American term for Apple Brandy. This is typically produced by mixing an apple brandy with a neutral spirit. Armagnac – An aged grape brandy exclusively produced in the Armagnac Region in Southwest France. Tends to be spicier and lighter bodied compared to Cognac. Brandy de Jerez – Brandy coming from Spain. Calvados – A French Apple Brandy produced out of Normandy France. Cognac – An aged grape brandy exclusively produced in the Cognac Region of France. It needs a minimum of 2 years in French Oak Barrels. Ugni Blanc is the predominant varietal used. Eau de Vie – A variety of fruit brandies that is clear and does not go through any aging in oak. It’s made to express the purest nature of the fruit. Grappa – An Italian spirit that uses the ‘left overs’ of wine productions, such as the stems, seeds and skins. Burnt – A terminology typically used when ordering a Martini. It means to rinse the inside of the glass with a scotch before pouring the cocktail. It can also be referred to as scotch wash. Champagne vs. Sparkling wine – This is a big one folks. Bubbly wine can not be called Champagne if it isn’t made in the Champagne region in France. So everything else in the world is referred to as Sparkling Wine. Why is this important? Well when you’re ordering bubbles, and if you say Champagne without looking at the menu, you’re very likely to be paying 3x the price of the standard Prosecco and sparkling wine available. Coco Lopez – A Puerto Rican Cream of Coconut. Hailed as the only ingredient that should be used in a Pina Colada. A popular product used amongst the top bars worldwide. Digestif – A alcoholic beverage typically served after a meal. Some examples include Port, Amaro, Grappa, Fernet Branca and Brandy. Dry – Term used when creating martinis, which means the limited to no use of dry vermouth in the recipe. Dry Shake – Shaking ingredients in a cocktail shaker without the addition of Ice. Why is this important? Typically this is asked for in recipes containing egg whites, yolks and cream. In the example of egg whites, the proteins are broken down and bond with the air molecules much quicker and easier. In essence, you’ll have a thicker foam, creating a velvet-like texture in your cocktail. Most, if not all, bartenders aspire for the thickest and most homogenous of foams. Fizz – A cocktail containing some form of citrus and carbonated components. Ramos Gin Fizz fits into this category but with the addition of some form of dairy. Port – Before the process of fermentation, Brandy is added to the Portuguese wine grapes. This results in a delicious, sweet wine that is typically enjoyed after a meal. For it to be labelled ‘Porto’, it must come exclusively from the Duoro River Valley in Portugal. Port is divided into two categories and that is a Tawny Port or Ruby Port. Ruby is stored and bottled with very little aging, while Tawny Port offers a blend and aged product. Marsala – An Italian fortified wine varying in dry and sweet characteristics. Genever – A Dutch-Styled Gin broken down into three different categories: Oude, Jonge and Korenwijn. Oude typically carries more malt flavours and is a bit richer. Jonge is bright and refined through multiple distillations, while Korenwijn is aged in used oak casks. Plymouth – Similar to London Dry style Gin, but made exclusively from Plymouth England. 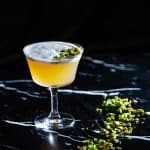 Old Tom Gin – This is the happy medium between a Genever and London Dry-Styled Gin. Typically a bit sweeter than the London Style, and with a bit more body. New Western Dry Gin – Juniper is still a predominant accent to New Western Dry Gin, but there is a lot of flexibility in terms of its base spirit and with the use of a variety of botanicals. Glassware – We have a whole section on Liquid Culture that tells you all about the different glasswares available and its uses. Make sure to follow here for more detail! Grenadine – Real grenadine comprises of fresh pomegranate juice, boiled down to a syrup with orange peels and spices. Crushed Ice – Now this seems pretty self-explanatory, but I added this to the list because I wanted to explain its importance. Whenever a recipe calls for crushed ice, it’s an essential ingredient to the cocktail. That’s because it allows quick dilution, which in the case of a Julep, plays an important role in combining all the flavours harmoniously. Large Ice Cube – 2 inch squared ice cubes that is typically found in a single rocks glass with your favourite spirit. This allows slow dilution so that it doesn’t compromise the taste of the spirit, but all the while keeps your drink chilled. Most cocktails poured over a large ice cube are likely to have had been already stirred or shaken. Punch Ice – The punch ice comes very handy for group cocktails. It’s a very large block of ice that sits in a punch bowl. It allows very slow dilution, not compromising the taste of the punch. Kold Draft – Commonly used for tall beverages such as the Tom Collins, or when creating a simple Gin and Tonic. These are 1.25 inch cubes of ice. Many varieties of this style is used, and typically your home freezer ice would fall into this similar category. This is the happy medium between crushed ice and large ice cubes, for a moderate dilution and chilling of a cocktail. Infusion – When a component sits in a bath of liquid. In most cases with a bar, it is in a bath of a spirit/liquor. Fruits, vegetable, herbs are amongst some of the popular items used. Jigger – The device used to measure the liquid components in a cocktail. Jiggers range in many shapes adn sizes. Julep – Refers to a style of cocktail that is served over crushed ice in a Julep Tin Glass (copper tin). The traditional Mint Juleps calls for Bourbon, Sugar and Mint over crushed or pellet ice. Liquor vs Liqueur – Similar in spelling, but very different products. Liquor is a distilled spirit, most fall into this category as well as liqueur. In the case of liqueurs, it is a distilled spirit with add fruits/flavourings and sugars. Maraschino – Not necessarily a sweet liqueur made from the marasca cherry. Many are familiar with the artificial and overly dyed product, but the traditional method involves the dark, intense sour cherry, soaked in a liqueur, brandy or bourbon for a few weeks. Mixing Glass – A large container that is widely used for stirred cocktails. They range in sizes, typically glass with a 25 oz volume hold. Orgeat – An almond and rose water (or orange blossom water) syrup. This is a very typical syrup found in most bars and used often in cocktails. Overproof – A spirit that contains more than 55% Alcohol by Volume. Pasteurized vs Unpasteurized Eggs – The common fear when it comes to using eggs in cocktails is the prospect of Salmonella. By using pasteurized eggs, you kill the bacteria in the egg, designating is safe to use. The drawback from this method is that you lose some of the essential flavours. When using eggs in cocktails, be a safe and cautious buyer. Make sure there are no cracks, and that it’s a brand or farm tested and guaranteed by your governing body. Peaty – Refers to the characteristics that is found in most Islay Scotch Whisky. It’s a pronounced smoky flavour that is unique to the region. Examples include Oban and Laphroaig. Perfect – Term used for a specific style of Manhattan. 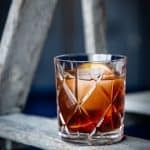 Instead of using just sweet vermouth, by asking for a ‘Perfect’ Manhattan, you are looking to split the vermouth with a sweet and dry combination. Punches – A large volumed cocktail, made to be drunk by more than 2 patrons. Punches comprises of spirit, citrus, water, sugar and spice. Rinse – This is commonly used for stronger spirits and flavours, and you want to subtly highlight that flavour in a drink. For example, a burnt martini asks for the glass to be rinsed with scotch. Mezcal and Islay scotches are great examples of rinsing the inside of the glass, but without having the spirit overwhelm the cocktail. Rum – Spanish – Typically lighter in style, and distilled from molasses. Column stills are the common vessels used for distillation. Rum – English – Compared to Spanish Rums, English style’s tend to be richer and distilled from demerara sugar. The use of pot stills are more common with this style. Cachaca – A Brazilian based spirit produced from distilled fresh pressed sugarcane juice. This is the main ingredient for the classic Caipirinha cocktail. Batavia Arrack – A high proof spirit originating from Indonesia and Southeast Asia distilled from sugarcane and fermented red rice. Arrack is commonly used in punches. Charanda – A Mexican spirit, often referred to as the Mexican rum. It is distilled from sugarcane, typically in the region of Uruapan, Mexico. Rum Verschnitt – A German mixture of rum and other alcohols. Many refer to this as ‘cut rum’, as it typically uses english-styled rums with other spirits and water. Velvet Falernum – A popular Rum-based sweet liqueur, syrup and/or cordial used in many tropical-inspired cocktails. It is typically flavoured with lime, almonds, cloves and other spices. Shaken – Cocktails that are shaken with ice (without ice it is called Dry Shaking), in a variety of industry shakers and containers. Most cocktails containing some form of citrus will require shaking. Shakers – Shakers come in a variety of styles. A Boston Shaker uses a Large Metal Tin with a Glass (most commonly found in bars), a Cobbler Shaker uses a Large Metal Tin with a strained, short top, while a French Shaker uses a Large Metal Tin with a Small Metal Tin (again, a popular option in bars). There are a ton of options in the market, and which one you buy depends solely on the buyers preferences and use. Simple Syrup – Every ratio is different and completely dependant on the individual and bar, but the typical ratios you will find amongst the community is a 1:1 ratio of water and sugar or a 2:1 ratio (2 parts sugar : 1 part water). The more sugar, typically means the recipe will call for less simple syrup. So it’s important to note when taking down a recipe from a bartender, what is their preferred ratio. Shrubs – A vinegar based infusion, typically sweetened and paired with Soda or used in a mocktail/cocktail. For an in-depth look into the Shrub world, make sure to read the ‘What the Shrub‘ article on Liquid Culture! Solera – A process that requires the aging and fractional blending of spirits and/or wine. This is a common system used in Sherry production. Speed Pours – An attachment added to the top of liquor bottles to allow speedy pours, hence the name. Many offer controlled pours to specific ounces. Stirred – A cocktail that is constructed in a mixing glass and then stirred with a stirring spoon. Most classic martinis and booze forward cocktails ask for the stirred method. Straight Up – Cocktail served with no ice (a.k.a Neat), and typically referenced for martinis. It is presumed that the cocktail will be served in a tall martini glass or coupe, unless instructed otherwise. Fine Mesh Strainers – Varying in size and shape, it’s typically a small circular strainer that doesn’t allow large objects to go through. This is a great tool to double strain a cocktail from fine ice shards in a shaken martini and small remnants of produce and herbs. Swizzle – Typically a Caribbean Rum-based cocktail with spices and citrus over crushed ice. A swizzle stick is used to churn the cocktail to allow even distribution and dilution in the glass. Verjus – Or commonly referred to as Verjuice, it is the result of pressed grapes without the fermentation. Although most winery look to ferment their grapes to create wine, this is a slightly less acidic vinegar that can pair beautifully in cocktails. Vodka – Translated to little water in Russia and Poland, it is a distilled neutral spirit that can be produced with a variety of grains and produce. Some examples include rye, wheat, potatoes, barley, grapes, tree sap, milk and corn. Tennessee Sour Mash Whiskey – A corn based whiskey that filters through maple charcoal to give it’s unique characteristic. It uses a method similar to creating sourdough, which is by using a starter mash to create its flavour. Rye – Spelt in America Rye Whiskey, and in Canada without the e. This is a whisk(e)y that must have a minimum of 51% rye as their grain production. Typically spicier than the taste of Bourbon. For it to be called Straight Rye Whiskey, it must age for a minimum of 2 years in new charred oak barrels. Grain – Uses either corn or wheat grain in column stills. Single Pot Still Whiskey – 100% Barley Whiskey, that uses a blend of both unmalted and malted barley. Scotch Whisky – When you think of Whisky, Scotland is widely known to be the holy grail for their production for Whisky. Similar to it’s Irish counterpart, malted barley is the most commonly used grain, with the regions bringing about its own unique flavours. They are divided again by blended malt, blended and single-grain whisky. Single-grain Whisky – Typically made for blending with other whiskies and lighter in body. Japanese Malt Whisky – Only one requirement is needed for Japanese Whisky, and that is for it be to made in Japan. A lot of unique and refined scotches are being made in Japan and should not be taken lightly. Barley is still the most commonly used grain for whisky production here. Now if there is something that you don’t see on here that NEEDS to be on…give us a shout! We’ll be constantly adding to this list so that our community is UP TO DATE. Hi, I’m Monica and I’m your Fairy Barmother. At Liquid Culture, creativity is encouraged and education is used to empower followers to be the best they can be. But What’s In Your Tonic?